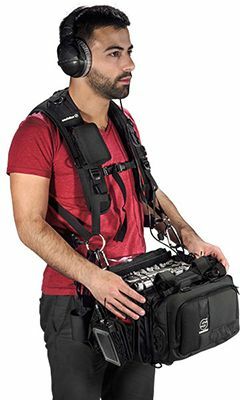 Heavy duty harness designed to comfortable carry audio bags up to 88 lbs (40kg). An ergonomic "vest-style" design with airline-type straps and easy snap locks to provide the best fit and fully padded to reduce strain. Displayed cameras and accessories are not part of the shipment!